Democratic state Rep. Sherry Jones says she’ll be requesting access to as many as a dozen case files kept by the Department of Children’s Services — and she’ll get to look at them thanks to a state law she helped pass in 2008. Jones listened to DCS-related complaints from families during a three-hour meeting on Monday. Those families came to Nashville from the far corners of the state. Department spokeswoman Molly Sudderth said lawmakers can review entire files at the agency’s central office after signing a confidentiality agreement. She said fewer than a dozen lawmakers have done so in the past half-year. “We typically have someone from our child safety staff or one of the caseworkers … to sit down with them and answer questions if necessary,” Sudderth said. Jones, who fields many calls about child safety issues, said she has a growing list of cases to look into, and that she plans to chip away each week. It was her 2008 bill that changed state law to allow legislators to view DCS case files (code section 37-5-107). The attached fiscal note touches on the “personal identifying information” that must be kept confidential, and says other information in the files is fair game for public disclosure and discussion among legislative committees. DCS records have been the subject of heightened attention in recent months since Jones first spoke out about what she said was a delayed department response to a records request she filed. 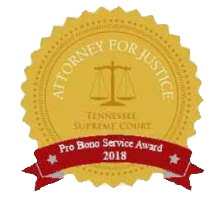 The department has provided case files and other records to a New York-based child advocacy group as part of a federal lawsuit, and redacted records to The Tennessean and a media coalition after a lawsuit in Davidson County court.